MetroKitchen is always looking for the extra, useful small appliance to make your cooking and clean up as easy as possible. From Capresso coffee and tea products to wafflemakers from Chef's choice and the amazingly fast professional blender from Vitamix, MetroKitchen has the essentials to enhance your cooking pleasure. 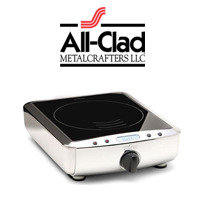 When you want to depend on a quality appliance, All-Clad is the brand to choose. The expertise you appreciate in All-Clad cookware is now yours in slow cookers or crock pots and griddles. 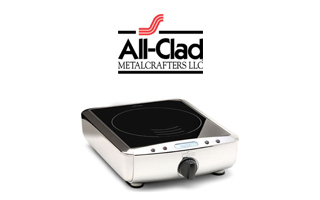 Make your cooking jobs easier and faster with these top quality All-Clad small appliances. 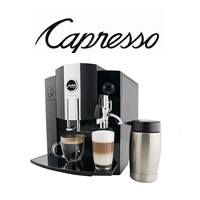 Capresso coffee and tea appliances offer phenomenal reliability, serious quality guarantees, they continually innovate. 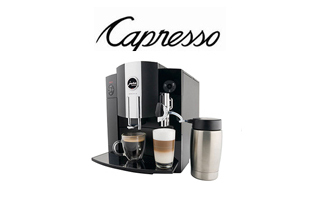 You can count on Capresso for coffee makers, grinders, frothers, and espresso makers made with the newest technology. Capresso tea makers are equally as impressive. 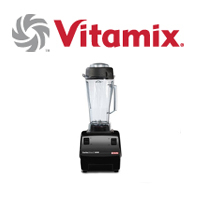 Vitamix makes the best possible commercial-quality blender for your home. 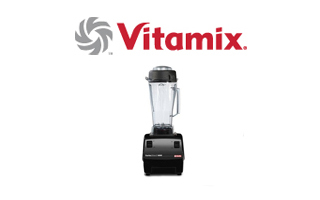 For more than 50 years, Vitamix has made blenders in the USA. Choose from 3 different styles and prices. You can make smoothies, soups, juices, even pulverize grains thanks to these amazing blenders. 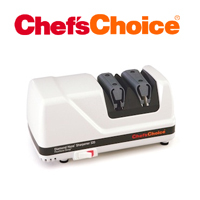 Chef's Choice electric knife sharpeners are the leaders in professional knife sharpeners. 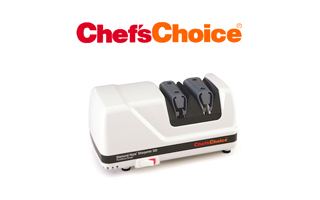 All Chef's Choice sharpeners have at least two sharpening stages to make your slicing precise and easy. They help you sharpen your knives to a razor-sharp edge with precise angle guides and diamond abrasives. 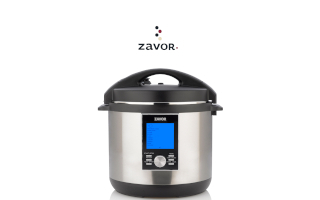 Zavor is the inspired creation of the team behind Fagor America, bringing you unique products that offer a simple and healthy approach to cooking. 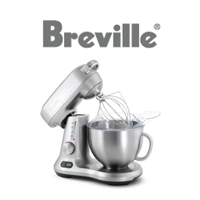 Breville Small Appliances include a variety of products for your kitchen, ranging from juicers to espresso machines and even countertop ovens. 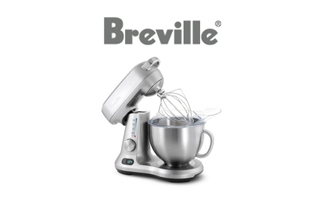 Each machine includes features to fit the demands of Breville's customers, such as optional attachments for multiple uses and convenience. These electric knife sharpeners from brands like Chef's Choice and Edgeware can put a sharp and smooth edge on any of your knives. 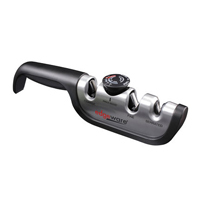 Whether your purpose is sharpening shears, kitchen knives, or sporting knives, a quality electric sharpener is a must-have in any kitchen. Quality electric water kettles from brands such as Krups, Chef's Choice, and Capresso boil water more quickly than even a microwave! 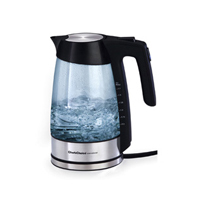 You'll save time and use less energy by using an electric kettle to boil water for making soup, tea, or oatmeal. 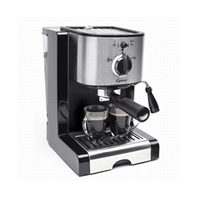 With one of these quality espresso machines you can have gourmet espresso at home that tastes just like you stepped into a cafe. These quality espresso makers from brands such as Krups, Capresso, and Breville are easy to use and worth the investment. 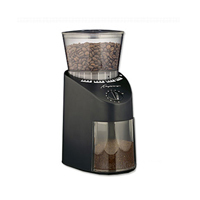 These coffee grinders from Capresso, Krups, and Breville get you a smooth, even grind for the best-tasting coffee and maximum extraction from your beans. These machines are build to outlast cheaper machines by using high-quality components. 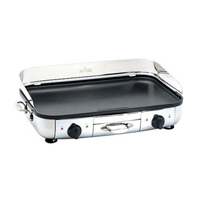 An electric griddle or grill makes cooking all of your outdoor favorites like steaks, hot dogs, or peppers and other vegetables a quick and easy task in the kitchen. These electric grills and griddles from All-Clad, Emerilware, and Breville are a must-have for anyone who loves grilling. 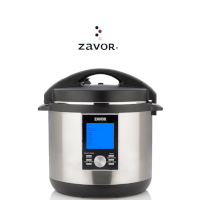 With a slow cooker from All-Clad, Krups, Emerilware, or Breville you can cook pot roasts, stews, or casseroles with very little effort. 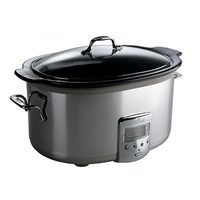 Put all of your delicious ingredients inside and let the slow cooker do the hard work!